We would all like to believe that the decisions we make as consumers and in a business setting are rational and predictable. However, as we’ve learnt over the years and thanks to research performed by behavioural economists, the reality is that when people make decisions quickly and under pressure, they do so based largely on intuition, emotions and unconscious biases and psychological fallacies. For businesses, this can result in people from all areas of an organization struggling to make decisions in general and then frequently making the wrong decisions. Since researchers now know that irrational decision making is commonplace, this type of behaviour tends to follow predictable patterns. In understanding these patterns, organizations and leadership teams can learn to create subtle “nudges” that encourage employees, customers and vendors to choose the most beneficial option. Nudges are essentially subtle interventions that guide choices without restricting them, resulting in a win-win scenario for businesses, employees and customers alike. Using elements of economics and psychology, behavioural economists are able to identify the types of irrational factors that ultimately influence the decision-making process – including a person’s habits, emotions, amount of willpower, framing of alternatives and the ability and need to trust someone. Once you understand exactly how these factors drive behaviour, you can use this understanding to design interventions or nudges that lead employees, consumers and vendors to make better (i.e. safer, easier and more economical) choices – while still providing them with the option and freedom to make a decision that goes against the nudge. This type of intervention strategy works especially well when implementing a change management project. Gently nudging employees before, during and after a specific change management initiative can lead to better adoption of the changes. In order to be effective, the nudges must be used to create win-win situations for an organization and its employees – where there are real short-term and long-term benefits to a specific behaviour change. Common examples of nudges include providing social cues that reflect how other people have acted in a similar situation, defining default choices and making processes easier to start and finish. Let’s look at an example of using nudge theory to manage change in your warehouse. Your business has decided its time to make the change to a more robust accounting ERP software solution with warehouse management functionality and to move away from QuickBooks. The company has been using QuickBooks for several years and so employees are familiar with the specific features and the way in which the system operates, and warehouse operations have largely been informal and manual. Employees find products based on their individual knowledge of the warehouse layout, items are typically not put away in the right spot, manual inventory counts happen on a weekly basis to determine what product is actually in stock, and frequently the wrong item is shipped to the customer. Manual workarounds and data entry has become commonplace and the time required to pick, pack and ship product is impeding sales. Before implementing a new solution and changing processes, slowly begin to nudge employees to adopt new practices. Consider sharing information on how similar companies have modernized their warehouse operations and provide details of how other businesses in the industry have been able to significantly decrease paper use, winning over environmentally friendly customers. Redesign your warehouse floor with bin and shelf locations and automate workflows with wireless barcode scanning. Print and display colourful floor maps, colour-code shelving displays and set-up electronic barcode scanners close to printers where employees would previously receive pick slips. All these subtle changes can have big impacts as employees begin to slowly adopt new procedures and rely on visual cues to find and retrieve inventory. Choice-Supportive Bias: where people will distort memories to make decisions seem good. Hyperbolic Discounting: in which people prefer and choose short-term benefits over long-term gains. Ambiguity Effect: where people prefer a known probability to an unknown one. Even where the decision and benefits of a specific choice seem obvious, the use of nudge theory can help people get to a stage where they are confident in these decisions more quickly. Implementing small nudges as you guide employees to change will help make the transition easier and allow both parties to reap the benefits sooner. When you started out your pharmaceutical distribution business, what were your goals? Have you accomplished them within your expected timeframes? If not, what held you back? In most cases, pharmaceutical distributors fall behind on their growth forecasts mainly due to operating on insufficient software that can’t handle the complex and ever-changing compliance requirements of the industry. Like most start-ups, you may have launched your business with introductory software such as QuickBooks, which is a great solution for small businesses. However, there are numerous limitations within this software that start to become apparent as your company increases its sales volumes. And, the lack of industry-specific functionality puts your business at risk of not being able to meet regulatory requirements, pass audits, provide necessary documentation etc. If you find that you are spending more and more hours during the day trying to stay on top of manual tasks such as filling out DEA forms, manually managing license expiration dates and the biggest nuisance of all – manual reporting – it’s time to break free from QuickBooks. First things first; don’t give up on your goals. You shouldn’t have to compromise your dreams of business growth due to insufficient software. It’s a scary thought leaving the familiar ups and downs of a system you’ve been using for a while, and you may have gotten used to manual workarounds for the systems many automation pitfalls, but think about it this way. Why would you settle for a system that’s holding back your growth when there are better options out there that will ultimately make you, your employees, customers and vendors happier? Start your search with an open mind and a good understanding of the different types of pharmaceutical distribution software on the market that are ideal for your specific requirements. And don’t forget to consider what you will require in the future (think expanding into online marketplaces or increasing the number of SKUs etc). Click the image below to download our full comparison chart to make the best decision for your pharmaceutical distribution business. As you can see from the above comparison chart, QuickBooks’ accounting and inventory functionality is ideal for small businesses starting out with a few users and products, however, a more robust system is required for industry-specific functionality and compliance requirements. Based on a survey conducted by the Healthcare Distribution Alliance (HDA), 100% of the specialty distributor members said that one of the primary drivers of technology adoption for distributors is to automate services and ensure regulatory compliance are met. This is not a surprise as pharmaceutical wholesale distribution businesses are subject to numerous stringent state and federal regulations and licensure laws. Did you know that pharmaceutical wholesalers are subject to civil and criminal penalties for distributing drugs without the appropriate pedigree paperwork tracing the physical movement of and title to drugs? In certain states like Florida, failure to maintain and deliver complete and accurate pedigree papers is a felony. With Blue Link’s all-in-one pharmaceutical distribution software, you no longer have to worry about integrating compliance software to QuickBooks and managing multiple different solutions. Besides meeting compliance needs, another factor to keep in mind when looking for a new solution is not only the functionality you need today, but the functionality you need to expand your business into the future. When searching for a new system, look beyond your current requirements and think about what you will need to do to expand your market and grow your business even more. 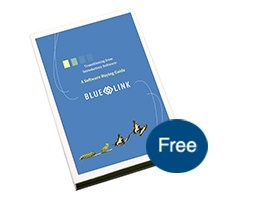 The below Blue Link functionality is optimal for reaching a wider market and creating smart business strategies. Electronic Data Interchange (EDI) – allows for easy communication between locations, helps track and update inventory when working with big-box retailers and other operations with EDI requirements, it enables the sharing of information between vendors and distributors and is used to transmit financial information and payment in electronic form (Electronic Funds Transfer or EFT). Trxade Integration – Trxade is a web-based, US supplier-to-pharmacy marketplace created to bring independent pharmacies and qualified/accredited national suppliers/distributors of pharmaceuticals together to provide efficient and transparent buying and selling opportunities. Since the launch of the platform back in 2010, it has opened and expanded the distribution channel to more than 8000 independent pharmacies and features 40+ track and trace and VAWD compliant wholesalers. Blue Link is now a proud member of HDA! Meet us at this year’s HDA Distribution Management Conference. The Distribution Management Conference (DMC) and Expo is HDA’s largest supply chain education event, attended by more than 600 manufacturers, distributors, consultants and third parties who keep the pharmaceutical distribution industry moving. The conference immerses attendees in topics related to the healthcare supply chain and provides a forum to engage in operational and strategic discussions. You may have heard the term “Turn-Key Revolution” made popular by the bestselling book The E-Myth Revisited by Michael E. Gerber. If you’re unfamiliar with the term, essentially it refers to setting up your business to be process dependent as opposed to people dependent. This means implementing specific systems and processes that allow for a consistent, effective and orderly day-to-day operation without having to rely solely on human resources. According to the book, the goal of the turn-key revolution is to turn your business into a franchise, but even if you operate a standalone business, the principle is still the same. The idea is to implement processes and systems within your organization that allow you to run efficiently no matter who you hire. Realistically, the role of well-trained, competent employees is still very important within every company – especially when it comes to the management team, customer service roles, warehouse staff and more. The benefits of executing this concept are not to diminish the importance of hiring the right people, but rather it aims to help businesses streamline operations through automated processes and system integrations. Let’s explore this idea further. Traditionally, for most businesses the go-to on how to manage an increase in order volume is to increase resources and hire more people. However, as technology continues to evolve to support historically manual processes, this is not always the best option. True, there are some businesses that require additional human-capital to physically complete the work, but even in these businesses, there are usually specific processes that can be streamlined through the use of business management systems and automation. This does not mean that technology is replacing the need for human capital – it just aims to make a case for automating as many processes as possible. This allows the people you do hire to focus on meaningful work – such as finding new customers – as opposed to having to deal with tedious data entry and administrative tasks. Human resource costs are significantly higher than those of business management software – even when implementing robust inventory and accounting ERP software. Consider the costs associated with finding, hiring and training new staff, salary and benefit costs and then the related costs to your business when that employee is sick, away on holidays or the costs associated with that person leaving, requiring you to hire a replacement. In contrast, the costs of implementing business management software will be significantly less, especially when you compare the costs year over year. In addition, most software solutions provide access to annual upgrades which means you’re always operating on the latest and greatest technology enabling your business to grow into the future. There are countless ways your business can automate processes with the right software to increase efficiencies. Incorporating technology into different departments of your business helps to eliminate the errors associated with manual work and makes it easy to train new employees when you do have to hire people. The opportunities available will depend on the software in place and existing processes and infrastructure. Below we examine a couple of examples. Picking – increase pick times with the help of inventory bin and shelf locations and pick lists that itemize products according to the most efficient route within your warehouse. A properly organized warehouse and barcode scanning technology mean inventory information is available and accurate in real-time – this helps warehouse staff find product quickly when picking orders. With tools such as Blue Link’s mobile picking application, employees can quickly identify and rectify pick issues at the source. Mobile picking also reduces the errors associated with handwritten pick tickets and notes. Receiving – quickly receive inventory into your business management system with barcode scanning so that inventory is updated in real-time. This allows employees and salespeople to know exactly what product is available and where it’s located in the warehouse when picking orders and speaking to customers. Packing – use verification scanning to double check items against the sales order while packing product into containers. Track items per container to easily look-up information for the customer and quickly identify missing items if the customer does not receive the entire shipment. Accounts Receivable – automate the accounts receivable process by configuring the system to automatically email account details to customers or internal staff when A/R amounts are above a certain threshold or timeframe. This removes the need for employees to manually check each customer’s account and instead notifies the appropriate people automatically. Reporting – generate reports using data within Blue Link that can then be rendered into a PDF and automatically emailed to the appropriate stakeholders. Automatically write back to Blue Link ERP to modify data like adding a new record, updating a field or changing a status based on specific criteria being met within the system. This allows employees to create automated workflows around specific processes and eliminates the need to spend hours creating detailed reports every reporting period. Furthermore, exception reporting means information is only updated and sent to the appropriate people when it is inconsistent with specific thresholds or KPIs. Landed Cost Tracking – define expected landed costs on a purchase order and factor these into inventory costs. Employees also have the ability to specify default landed cost factors by product and then apply each landed cost factor to each line on a purchase order using one of several pro-rated methods – or enter individually. This eliminates the need to manually update spreadsheets with pricing information and the associated errors that can result from manual data input. eCommerce – automatically crawl webstore and integrated marketplaces (such as Amazon) for new orders which then get pulled into Blue Link ERP and sent directly to the warehouse for picking, packing and shipping or configure the system to have the orders appear in the Sales Order Review screen for further processing. CRM – easily track communication with customers and prospects with the ability to add notes, schedule next actions, change a status and assign a sales rep to a specific account for review. Following a process for tracking customer and prospect information allows you to easily offload accounts to different salespeople, allows anyone with the correct permissions to look up customer data and allows you to easily generate reports from the information in the system. B2B Online Order Portal – provide customers with the ability to easily log into their account through Blue Link’s online order portal to browse inventory online with their own customer-specific pricing, place orders 24/365, track order status in real-time, view or print online statements and drill down into order and invoice detail. This eliminates the need for additional staff to manually enter orders and empowers customers to review their own account information. The above examples are just a few of the many ways a business can become more efficient and process-driven with the help of business management software such as Blue Link ERP. If you can’t ship and deliver products to your customers in a timely fashion, you’re out of the competition…especially in the fast-paced world of eCommerce. Thanks to eCommerce giants like Amazon, customers expect better services and faster shipping times and these offerings aren’t slowing down anytime soon – as of June 2018, there were approximately 95 million Amazon Prime members in the United States alone. While there are some key differences between B2B and B2C eCommerce, your customers still expect you to keep up with the offerings that they are accustomed to with B2C webstores. This is evident as we see more and more B2B eCommerce stores offering B2C functionality such as having high-quality images and videos, online search functionality, personalized recommendations, mobile optimization etc. With the growing number of Amazon Prime members, all customers, whether B2C or B2B have come to expect faster delivery times, flexible shipping options, and cheaper shipping costs. B2B eCommerce sales tend to have higher than average dollar value and include fewer one-item orders compared with B2C, which helps to simplify the picking, packing and shipping process for wholesale distributors. However, selling online means increased order volume which leaves no room for an inadequate order fulfillment process. Order fulfillment is a critical element of a B2B eCommerce operation and customers expect that their orders are dispatched quickly and efficiently – this is a key factor in attaining repeat business and ensuring customer satisfaction. So, before diving head first into the exciting world of online selling, integrate your eCommerce webstore with proper ERP software first, to ensure you have a rock-solid process for the picking, packing and especially shipping of product. This will allow you to keep up with the demands of an increased order volume and remain competitive. With Blue Link ERP, once an order is placed online the information automatically generates a sales order in the system, updating quantities available both on the website and in the ERP system and allocating inventory for picking. Once the order is picked and packed, you can easily select the order to ship, enter shipment details, print the documents required to accompany the order, and mark the order as shipped. Once the order is shipped, Blue Link maintains a history of the shipment, the number of boxes shipped, and the items assigned to each box. With Blue Link’s pack-to-container functionality, you can see picked orders from multiple sales channels (including eCommerce) that are going to the same ship-to address from the sales order review screen. The pack-to-container screen is used to verify the accuracy of the items picked in relation to the items ordered and to record which products are packed in which containers and which containers make up the entire shipment. Detailed sections in this screen allow you to see how many packing boxes or containers are part of the shipment and gives you the ability to add more as required. You can see which products are packed and which items are remaining to pack into the boxes. If a user tries to include any product not on the list, the system will generate an error message that the product is not a part of the order thereby preventing the incorrect product from being shipped to the customer. An ERP system that integrates with shipping courier sites populates the overall tracking number for each shipment as well as the sub-tracking number for each shipping container which is populated back into the ERP. This eliminates the time required entering information into multiple systems and the associated keying errors with doing so. Once all items are packed into the boxes and the order is ready to go, the ship button triggers the system to do many different things such as emailing shipping confirmations and printing and/or emailing and posting the sales invoice. When the order is shipped, Blue Link maintains a history of the shipment, the number of boxes shipped, and the items assigned to each box. Container history information is especially useful in determining which products the customer did not receive in the event of a specific shipping box not arriving at its destination. By tracking shipping containers within your ERP system, the data is accessible to those who need to see it and reports and analysis can be done with the data captured to further enhance efficiency in the process. Check out the below demo of how the pack-to-container functionality works in Blue Link! Courier integration with an ERP system is a challenge that many B2B eCommerce wholesale distribution businesses face. Many require employees to spend countless hours manually extracting orders from their current software or Excel spreadsheets, which they then have to input into courier websites by logging into separate accounts. Then, they must manually enter the shipment and customer information order by order. This type of repetitive, manual process is time-consuming and can be costly when errors are inevitably made. Automatically feed customer shipment information from the ERP system, such as addresses, phone numbers, and emails to courier screens. Eliminate the need for employees to manually enter information, thus significantly reducing dispatch times. Set up shipment and delivery requirements such as signature needed upon delivery, or insurance required for order over a certain amount. Utilize email tracking functions offered by the selected courier services. Blue Link ERP integrates with rate shopping applications to help your business and customers get the best shipping rates on every order. Once orders are packed into boxes and the size and weight of each box has been entered, the ERP system will automatically populate a list of available courier companies as well as the types of services they offer and the rates for each service. Employees then choose an option and the information is used to generate shipping labels and any associated paperwork. One of the most common issues for customers is around obtaining tracking information or status updates for their orders. Not only does integrating your B2B eCommerce site with ERP software remove the need for employees to manual enter tracking information into the system, it also enables customers to track orders online themselves, reducing order status update inquiries. Does your business attend tradeshows? Are you considering starting to attend tradeshows this year? While in certain industries attending tradeshows has long become a thing of the past, there are still various industries where it makes sense to sponsor, exhibit or walk tradeshow floors to increase brand awareness for your company, network with potential clients and partners, and sell product. This is especially true for emerging markets like the recreational cannabis industry in Canada and other specific industries such as automotive, entertainment and the healthcare/medical industry. To be successful at a tradeshow, a lot of thought and consideration needs to go into your marketing and sales plan. It is important that you present a strong, cohesive and relevant brand image through your booth design, brochures and handouts, displays, demos and swag. You want to prepare the appropriate sales collateral to give to visitors at your booth and you want to ensure you have a process in place for following up with leads after the show. As a distribution business, there may be an opportunity to generate actual product sales at a tradeshow in which you need the right tools and processes in place to show product, create sales orders, collect payment and then ship and invoice orders from your warehouse. Before you start to consider manually taking orders or looking at alternative solutions, consider whether your existing distribution ERP software has the functionality to help. Below we explore distribution ERP and specifically Blue Link tools your team can use to successfully exhibit and sell at a tradeshow. Not just for use in a retail brick and mortar stores, point of sale software allows you to easily create an order and accept payment from anywhere you have a terminal set-up. Since Blue Link’s POS solution works offline, it’s a great tool for businesses that want to take and process transactions at a tradeshow. Your company can simply sync with your system’s real-time data before the show for an up-to-date list of inventory, then set up a computer terminal with payment processing equipment to enter orders and accept payments during the actual show. At the end of the day, once again you can sync the system to update inventory and order information which then automatically sends appropriate orders to your warehouse staff to pick, pack and ship. Blue Link’s POS system works with barcode readers, cash drawers, receipt printers and display poles and so you even have the ability to scan and sell product that is physical on display at your booth. RepZio is a mobile sales app designed for use by sales people in a showroom, at a tradeshow or while onsite with customers. Fully integrated with Blue Link ERP, RepZio allows your business to sync orders between applications, sync product details, pricing and photos as well as sync client information. Available on iOS devices, RepZio works great for a variety of industries, especially those that would benefit from a visually appealing representation of products. RepZio allows you to show customers a visual representation of available inventory and can even specify alternate or similar items. Since the app also works offline, even if you don’t have a good internet connection, you’re still able to process orders. Although it is unlikely that you will be capturing leads through your CRM system while interacting with prospects on the tradeshow floor, access to your distribution ERP’s CRM functionality allows you to manage this information easily from your hotel room after the show. Instead of waiting until you’re back in the office to manage all of the sales leads collected from the show, cloud-based distribution ERP with CRM functionality means you can access the system from anywhere with an internet connection to start triaging leads. CRM functionality allows you to generate lists, track communication, schedule appointments, set follow-up dates, log field changes, specify primary contact information, manage lead status’ and maintain a record of verbal and email communication. Tradeshows are busy enough without having to manually track customer, prospect and order information. As you prepare for the tradeshow season, check with your existing ERP vendor for the above tools, and consider switching to a more robust solution if you require additional functionality. Not only does processing orders and contacts at the show save your team time when back in the office, but it also eliminates errors when you try to remember who you spoke with an ensures you actually have the product to ship that was sold at the show. On behalf of everyone here at Blue Link ERP, we wish you a happy new year and all the success and prosperity in 2019! The advent of a new year presents a sea of new possibilities and is the optimal time to fulfill your ERP software resolutions for your wholesale distribution business. Employees are better engaged and more flexible to change which means they are more willing to embrace new projects — take advantage of this frame of mind before the year gets into full swing and time runs out to make the switch to new software. Here are a few tips to help you stick to your resolution to implement new ERP software this year. Implementing a new ERP system is so much more than just swapping out old technology — it impacts your entire wholesale distribution business. With the right new technology comes improvements to inventory and warehouse management, picking/packing/shipping, customer management etc. However, this also means that current processes and your employees’ day-to-day tasks will change. The objective of creating a technology change management plan is to address the people that are impacted by the transition and to help them and the teams and departments they belong to within the organization, to adopt the new software in the most efficient manner possible. In order for this to occur, first, you need to get buy-in from stakeholders and employees right from the very beginning, even before you start speaking with ERP software vendors. The more people you have supporting the project, the less likely that it will fall off the radar come Q2. However, prepare to receive some push back as some people are reluctant to change – to some, the thought of swapping their current, familiar and comfortable processes with new ones is daunting. Address employee questions – technology can affect the relationships between management and employees, it is up to the leadership of the company to address any employee questions and concerns such as “Am I going to lose my job?”, “How complicated will the change be?” etc. Present the benefits that will occur with new software to stakeholders and employees such as improved processes, automated tasks and workflows, improved inventory and warehouse management, opportunities for growth with eCommerce integration, industry-specific functionality, etc. Educate staff on what types of changes to expect in their day-to-day tasks to create a more digestible vision. How will the new software impact accounting, your warehouse workers or your sales team? Speak with individual departments and collect feedback on the specific tasks they expect to improve with new software and set realistic expectations. Training – reassure employees that they will receive the necessary training to be a successful user in the software and that it will be a learning process. Never shortchange the training period as unsuccessful implementations commonly happen when training gets brushed over. It is also important to keep track of who received training so no one is missed. Address differing skill sets and competencies of your employees to assign roles for the project. This allows these specific individuals to plan ahead and dedicate the necessary time to complete project tasks. It also clearly defines who is responsible for what and holds individuals accountable to set goals and meet deadlines to ensure that the project stays on track and top of mind. To make any type of new year’s resolution a success, it’s critical to create a timeframe and stick to it. Having an idea of the project completion date is useful when speaking with vendors to ensure that both parties are on the same page. Consult with the key stakeholders in the company on when the software implementation should take place taking into account peak seasons. Keep in mind that implementation is not an overnight process and the time it takes to get set up with the software depends on several factors such as the amount of data to be migrated, software training, etc. Furthermore, change management also requires time. No matter how user-friendly the software is, implementing a new inventory accounting solution requires significant change as employees learn to integrate the new software into their everyday processes and across departments – this should be accounted for when setting a timeframe. Think of the timeframe as the overall deadline for project completion – specific deadlines must be created for individual tasks of the project. By creating deadlines for each task, you’re measuring out your time and making it easier to track your progress towards meeting that overall timeframe. These tasks cover the project from start to end – from creating a search team and establishing functionality and budget requirements to choosing vendors to speak with and shortlisting candidates. Consider having weekly or bi-weekly check-in meetings to ensure the team doesn’t fall behind with the tasks. Completion of major project tasks such as completing the research phase, setting a budget, setting a timeframe, shortlisting top vendors, etc. To avoid the project from dropping lower on the priority list as the months pass, it’s important to continuously communicate to stakeholders and employees how the business will change with new technology. Communicate any important milestones that are reached and updates throughout the process and be sure to listen to any feedback. It’s important to keep the momentum going even after the vendor has been selected. Have a company meeting to share information to preview the system and share information on the vendor. Use videos, posters, and other methods to create excitement and a buzz around the office to create a positive atmosphere about the upcoming changes. With 2019 just around the corner, have you started planning for the year ahead? If software is on your radar, it’s important that you have a plan in place BEFORE you start searching for a new solution. In the world of back-end business management software, there is sometimes a disconnect between the types of systems available on the market and how they can help run your business. This is further complicated by the fact that may software vendors use the same terminology in different ways. Let’s start by distinguishing between two common types of software solutions – introductory systems (which includes standalone accounting and inventory systems) and ERP (enterprise resource planning software). Introductory software solutions such as QuickBooks, are designed to manage one aspect of a company’s operations such as accounting. Even if these types of systems provide additional features for inventory or contact management, it’s primary functionality is around one business process and often requires integration with additional systems to include advanced functionality for inventory, contact management, warehouse management and barcode scanning. Introductory systems are great for companies with a low number of transactions, inventory items and users, and for basic management of operations. These types of solutions have a lower price tag and are quick to implement. However, as the name implies, introductory solutions are just that – a starting system for when your business is new and small. As your business grows and you expand into new markets, there may come a time where ERP is a more appropriate solution. This can happen for a variety of reasons including a restriction on the amount of data or number of users your existing system can manage, the need for additional functionality such as lot tracking, landed cost tracking or barcode scanning, or the need for a unified solution to manage all business operations (as opposed to manually entering information into multiple, standalone systems). Whatever the reason, if you decide to make the transition to a sophisticated ERP solution, you need to prepare the appropriate resources, as the search for ERP and implementation process will be the biggest decision your business makes in 2019 and should be treated as such. It’s true that researching different ERP solutions, speaking with vendors, watching demonstrations, implementing the software and training employees is a big project – but that is not the only reason why the transition to ERP software should be treated as such. Rather, ERP software is designed to manage all aspects of your company’s operations – including sales, inventory management, invoicing, purchasing, warehouse management, POS, eCommerce, customer service – and therefore, as the backbone to running your business, has huge implications on the success and growth of your company. Moving to ERP software provides your company with various opportunities to automate processes, eliminate errors and tedious manual work, reduce double entry, scale to reach new markets and customers, improve your warehouse operations and much more. This is why proper thought and consideration needs to go into the search and implementation process – the ERP project as a whole. As with any capital investment such as purchasing additional warehouse or retail space, launching an eCommerce store or buying new equipment and machinery, a successful ERP project requires significant planning, research and dedication of resources. Whoever is responsible for finding a new solution and making the purchase, needs to feel confident that their decision will be well received by all employees and that it will provide positive ROI and help the company achieve its goals. Proper planning for such a solution helps to mitigate this fear of failure and find the right solution. In addition, you want to work with a vendor who will give you peace of mind that you will always have access to the latest and greatest in technology and process improvements through an ERP solution that is under constant development and provides regular upgrades. 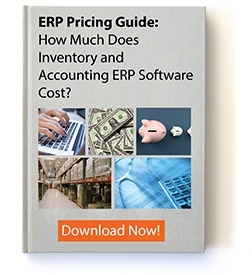 Download our Software Buying Guide to help your business find the right ERP system. Blue Link Food Distribution Software is named to Food Logistics’ 2018 FL100+ Top Software and Technology Providers List for the sixth year! Vaughan, Ontario. (December 17, 2018) – Blue Link Food Distribution Software, a leader in all-in-one B2B ERP software, announced today that it has been recognized by Food Logistics for the sixth year to its 2018 FL100+ Top Software and Technology Providers list. The annual FL100+ Top Software and Technology Providers list serves as a resource guide of software and technology providers whose products and services are critical for companies in the global food and beverage supply chain. The publication recognized Blue Link for helping its many food and beverage customers to remain FDA/CFIA compliant, automate processes and sustain growth with its all-in-one ERP solution. Food Logistics is published by AC Business Media, a business-to-business media company that provides targeted content and comprehensive, integrated advertising and promotion opportunities for some of the world’s most recognized B2B brands. Its diverse portfolio serves the construction, logistics, supply chain and, other industries with print, digital and custom products, events and social media. Blue Link ERP software is designed for small to medium size distribution, wholesale and retail businesses looking to grow their company. Business management processes are improved with Blue Link’s flexible and user-friendly ERP functionality such as inventory management, accounting, warehouse management, barcode scanning, eCommerce integration, lot tracking, customer relationship management (CRM), and more. Blue Link functionality can be readily customized to match customer specific business processes. The result is higher productivity, more meaningful reports and better business decisions to drive growth. – Ray Martin, President, Qualifirst Foods Ltd.
Landed cost tracking – duty, brokerage, freight etc. Multiple units of measure: unit conversions – buy and sell the same products by weight, multiple containers, volume etc. Data migration is an integral part of any ERP software upgrade. Whether you’re moving from introductory software like QuickBooks, or legacy ERP, it is important that any significant existing data is properly imported into your new solution. This service is typically included as part of the software implementation process; however, it can vary significantly in terms of scope of work and costs from one vendor to the next. Understanding your options for data migration and the factors that influence cost will help your business decide what software vendor to work with. Even though costs will vary from one vendor to the next, aside from training expenses, the data migration process tends to make up the majority of the implementation costs and therefore your budget should reflect this. For the most part, unless you’re a start-up company, some form of data migration will be required. If you’re a start-up company with no transaction history data, customer information, vendor information or product information, it is usually ok to manually enter this information into the system as needed. Even if you do have some product/vendor/customer information, the volume is low enough that manual data entry is still your best and most economical option. For most other businesses, it is never recommended to move your own data. Even if this seems like a good idea initially as a means to cut implementation costs, it can end up costing you even more money down the road, as you lose productivity due to inaccurate information in the system, or when you run into issues moving the data yourself and end up having to pay the vendor to do it anyways. We recommend you work with a vendor who has experience moving data and will perform the entire data migration process at an hourly rate, as discussed with you beforehand. To better understand the benefits of this method, let’s explore the data migration process itself using Blue Link ERP as an example. The first step in Blue Link’s data migration process is an initial data analysis and discussion with your team to assess the best approach for migration – what data needs to be moved, where is the data stored, is there an opportunity to clean up existing data etc. At a bare minimum, you want to make sure that your existing data is stored in the correct fields and following the correct formats. This step also provides you with the opportunity to improve the quality of your data. Do you have a lot of duplicate customer records? Are you happy with existing product codes? Do you have duplicate inventory items to account for different UOMs? If you want to change anything, now is the time to do so. For example, if you simply wish to change Product Codes, we can provide you with a spreadsheet template that includes an extracted list of all existing Product Codes and a column for you to include Product Code changes. Changes can be done with the help of a simple spreadsheet template, or, if the data follows a logical pattern, our team can write a data conversion import routine. As a general rule, it’s usually best to keep the vendor responsible for providing guidance on data types and formats, and for the actual import process, while taking ownership yourself of the quality of the data. Either update data manually in your existing system, get the vendor’s assistance in dumping data into a spreadsheet to review and clean or have them write an import conversion routine to automatically make changes. The second step involves our team of knowledgeable consultants working with you and your team to actually access and extract the raw data to begin the migration process. Blue Link does this with the help of its data conversion import routine. This step will vary in complexity depending on your existing company set-up, how many systems you want to extract data from (for example accounting systems, CRM software, warehouse systems and eCommerce platforms) and whether you are moving data for multiple separate entities. Although you can migrate as much or as little data as you want, most often, the data that is transferred includes vendor, customer and product information, historical sales data, A/P and A/R outstanding, open sales orders, GL account numbers and balances and inventory quantities. During this step, Blue Link will validate the data, identify any issues and update any data changes that follow a specific pattern. For example, does the tax authority associated with the salesperson in the migrated data actually exist in the Blue Link data? Do the terms associated with that salesperson exist in the new Blue Link data? Blue Link’s data conversion import routine will identify any missing data or “orphan records” where data exists in one table but not another. Another example of how the validation process works is if the conversion import routine tries to populate a field in Blue Link with text that is longer than the number of characters for that field. Whatever the issue, the routine will create a record of the missing or incorrect data so that it can be fixed afterwards without stopping the import from continuing. This step also includes “massaging” or adjusting the data according to specific patterns. For example, if you have different SKUs for each UOM of a specific product but the information is stored following a pattern (SocksPair, SocksDozen, SocksBox) our consultants can work with this pattern to create a single SKU with different UOMs in Blue Link. Different software solutions will store data in different ways and using different fields, titles and structures. Therefore, part of the validation process involves ensuring that the data makes sense and follows structures and functionality in Blue Link. Step three involves re-extracting the data from your existing system right before Go-Live using Blue Link’s data conversion import routine to ensure the data is the most up-to-date. Before this happens, however, there are a couple of considerations to keep in mind. Certain information that was originally migrated ahead of Go-Live does not need to be moved again. This includes data such as GL Codes and Salespeople as any new additions can be manually updated (as long as you have a good process for tracking this). Instead of spending the time and effort to move data that does not get updated frequently a second time, we will advise the customer on which data they should manually enter if they add anything new between the initial import and Go-Live. However, current/open transactions and balances will need to be re-migrated at the point of Go-Live, and then with historical data such as sales history, timing is much more flexible – you could import sales history any time after you’re already live on your new system. Alternatively, you can save a local copy of your historical data for reference as opposed to migrating it into Blue link depending on the data in question. As you can see from the information above, the data migration process is complex and time-consuming. Trying to move the data yourself does not make much sense when it’s not your area of expertise. Charging a set fee for data migration can cause issues before you start to see and play with the data as there are a lot of unknowns. Since there are so many things to consider when it comes to migrating data, be wary of choosing a vendor that charges a set fee for the migration process. It might seem like a smart choice initially but can cause issues and cost money down the road. A better option is to work with a vendor that provides an estimate of how long the work will take and then provides you with an hourly rate, keeping you informed on the progress of the process to avoid any surprises throughout. If they are an experienced software vendor, they will have years of information from past implementations that will make their estimates very accurate. Remember that one of the benefits of using Blue Link ERP is that the system controls data entry. It prevents users from storing and using “bad data” and it provides one database from which to manage all your business information. Having access to accurate data in real-time is key to running a successful business. Spend the time and money to properly move your data and it will help run your business going forward. Top ERP Software Trends for 2019: Is it Time for a Digital Transformation? Hot cocoa, twinkling lights, holiday parties and…year-end budgeting for 2019? It may be the holiday season but for many wholesale distribution businesses, the end of the year is an opportune time to evaluate what went well, how the business has grown in the past year… and most importantly, evaluate what’s not working. If you’re like most businesses, technology, specifically existing introductory software or outdated ERP systems is at the top of the naughty list. Consider making room in the budget to invest in a new system as it could be transformative for your business. According to Allied Market Research, the global ERP software market is expected to garner $41.69 billion by 2020. As businesses become more and more aware of the all-encompassing benefits of this type of technology, ERP vendors continue to keep up with demand. Advancements in ERP technology has certainly grown leaps and bounds from what it was a decade ago…and even what it was a couple years ago. ERP is definitely changing, but it is still a core system and has the potential to drive digital transformation for your business. The issue that most business owners have when they start thinking about ERP is that they don’t see the full potential and advantage of what an all-in-one system can do to grow their organization. Looking ahead to the new year, it’s time to stop thinking of ERP software as just accounting and inventory software and think of it as an all-inclusive, transformative technology that will help your business reach new heights and strategically expand into new markets. Keep the following trends in mind and compare them with your current system and/or with new ERP vendors you speak with in the new year. Cloud ERP is definitely on the nice list for the new year. Not surprising, more and more small to medium-size businesses have opted for cloud deployment methods mainly due to the fact that cloud options are more affordable with lower upfront fees and lower IT costs, making it possible for smaller businesses and even start-ups to consider ERP as an option. There is no longer a need for small businesses with tight budgets to invest in large, expensive servers to keep on-premises and they no longer need to have an expansive in-house IT team as cloud ERP vendors manage the hardware and maintenance aspect of the software. The rise in cloud technology adoption also aligns with the rising number of mobile employees. As more and more businesses hire remote workers such as on-the-road salespeople, it is important to have an ERP system that is capable of remote networking. With Blue Link’s hosted offering, employees access the full Blue Link ERP software package remotely via the internet through an RDP connection meaning they can work from anywhere in the world as long as there is an internet connection. The main reason for buyers to replace their existing ERP is still software functionality. According to G2 Crowd, around 48% of buyers switched to a new system for better features. Price was only a 4.5% deciding factor and only 7% switched due to ease-of-use. We’re starting to see that more and more businesses want solutions that are tailored specifically to their industry so that they can avoid customization and ensure that they stay current long-term. For example, the pharmaceutical distribution industry requires specific functionality to remain compliant with industry regulatory bodies such as the FDA…these features include transaction reporting, lot tracking/traceability, and serialization. The food distribution industry is also unique in the sense that comapnies also need lot tracking/traceability functionality to comply with global and trade regulations and consumer protection laws as well as the ability to trace items in the event of a recall. Working with a vendor that provides industry-specific functionality not only helps manage your specific requirements, but you also gain a long-term industry expert who can offer advice on how to succeed in your market. Part of this need for improved functionality is ultimately the need for automation in workflows. A growing number of businesses are wanting better document management options. Depending on the ERP vendor, there are workflows in place to reduce the amount of human interaction when it comes to document management. Blue Link facilitates two-way integration with DocuWare – an electronic document management system which allows users to quickly store, index, search, display, download, retrieve, edit and integrate documents and create automated workflows to help businesses operate in a paperless environment. From Facebook to Uber…it seems like data breaches were at the top of every news channel this past year so it’s a no-brainer that data security is not to be taken lightly in the new year. When looking for a new ERP system, go with a vendor that prioritizes data security. Look for features such as encrypted databases to keep credit card information safe that will help meet PCI compliance standards. Where your data is stored is also a crucial factor in your data safety. With Blue Link’s hosted solution, customer data is kept safe in a facility designed to Tier III standards. It is equipped with 2N backup power infrastructure, cooling and connectivity infrastructure and an indoor generator facility located off-site for added redundancy, providing high levels of reliability and support. Blue Link also has a disaster recovery plan in place which includes managing data from multiple physical locations with extensive backup power. In the event of a blackout, the data center has two times the generation capacity required to run the entire building – so even if one set of generators fail the other set can still run everything. Partner with vendors who not only specialize in your business but are willing to step outside of the box. With the popularity of the cloud on the rise, the traditional role of technology partners will no longer suffice. Businesses want to partner with vendors who will cater to their unique needs and become an asset to their business long-term. While the functionality of the ERP system you choose should accomplish the majority of your organizational tasks, there will be a need to customize functionality if your business has unique processes in place. Go with a vendor who is willing to listen to your needs and ideas and are open to customizing their solution. We’re also seeing a desire for personalized software – for example, the ability to create custom dashboards with reports catered to specific job roles and the ability to change color schemes and homepages are highly sought after. Personalization can also relate to vendor customer support. Think about what your current experience is with your existing ERP software vendor. Do you feel like just another number to them? How well do they know your business? With the next system you choose to go with, ensure that it is not only the right fit in terms of improving your business processes, but it is a fit when it comes to the people behind the software as well. Click on the resource below to learn about 6 factors other than functionality to consider such as company size, on-going dependability, costs etc. when partnering with an ERP vendor. Amazon is predicted to make up 50% of all US eCommerce by 2021. The eCommerce giant has gained quite a bit of ground this past year with no signs of slowing down. This is an opportunity that small businesses should not overlook in 2019. Think of your next ERP system as a catalyst to break into the online market for the new year by integrating its back-end functionality with marketplaces such as Amazon and eBay. Go with a vendor who is able to handle this type of integration as it will open your small businesses to sell more product and reach new customers without a lot of extra effort. As ERP vendors continue to improve and advance the technology behind their systems and feature offerings, it’s important to be flexible as a consumer of ERP and be careful not to silo the functionality as standalone features. Rather, gain the full advantages of the automation technology that comes with a true ERP solution by being flexible to adopt new ways of operating. For instance, you may see better business results simply by changing the process around sales order creation in the system. It’s also important to take the advice of ERP vendors seriously when it comes to creating workarounds if there are certain processes you do not want to change. However, keep in mind that although workarounds typically relieve issues in the short-term, they can be quite difficult to maintain so it’s easier to be flexible as a company and be open to process changes if your vendor has a better solution to doing certain tasks.